Phil is one of the world’s best Physiotherapists at rehabilitation and the treatment of acute and chronic musculoskeletal injuries. This is not something we say lightly because the reputation of the clinic is based upon having some of the best clinicians. However, Phil’s experience, knowledge base and skill set is far-reaching and he is considered by many in the profession as one of the world’s best in his field. 25 years of treating rugby injuries in top end players have given him an ability to rehabilitate some of the nastiest and most severe injuries back to elite play. This skill set translates exceptionally well to the rest of us and those of us who might suffer such issues ourselves will always want to have Phil as our physio. Motivation and exercise progression, as well as robust hands-on therapy, are the cornerstones of Phil’s practice. He is best at treating severe injuries such as anterior cruciate injuries and fractured legs. He has been instrumental in returning some of our top rugby players to the field over many years. However, he maintains a good balance to his practice seeing a number of ‘oldies’ with the more long term arthritic issues. Phil graduated from the Queen Elizabeth School of Physiotherapy at Birmingham University. He has had a keen interest in health-related fitness since graduating with a Sports Science Degree in 1981 and has combined an interest in both areas by obtaining a Master’s Degree in Physiotherapy and Sports Injury in 1999. Phil has taken part in sport at national level in rugby, triathlon and judo. 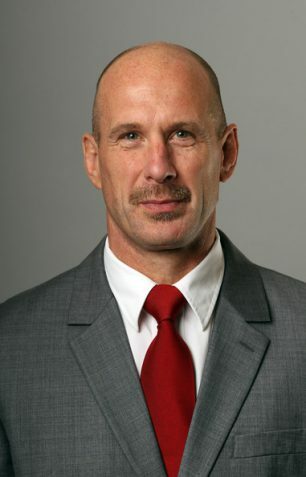 He has been Physiotherapist to the England Rugby team since 1997 including the 2003 Grand Slam Team, all the World Cup Squads and the winning World Cup team in 2003. Phil was also the British and Irish Lions Senior Physiotherapist for the tour to New Zealand 2005 and South Africa 2009, and the winning Tour of Australia in 2013.